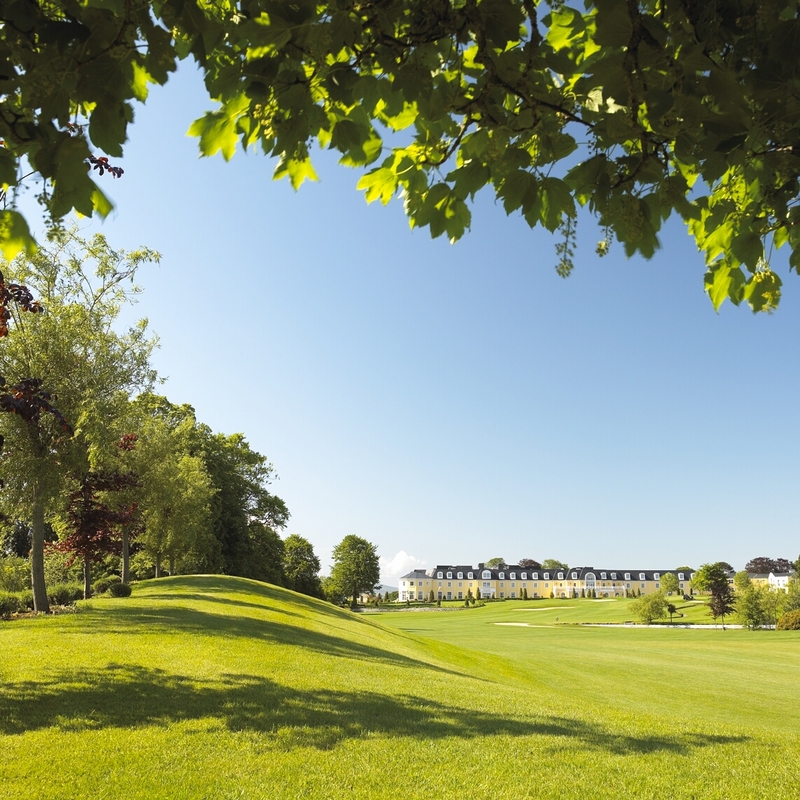 The Mount Wolseley Hotel Spa and Country Club is located on the grounds of the eighteenth century ancestral home of Frederick York Wolseley, whose family became synonymous with the automotive industry The Hotel boasts an 18-hole championship golf course and Spa & leisure centre. A century and a half ago Frances F. Hayden wrote that the view of Co. Carlow from Mount Leinster was as wild, as romantic and picturesque a range of scenery as ever attracted the pen of a Byron, the pencil of a Reynolds or the genius of a Thomson. 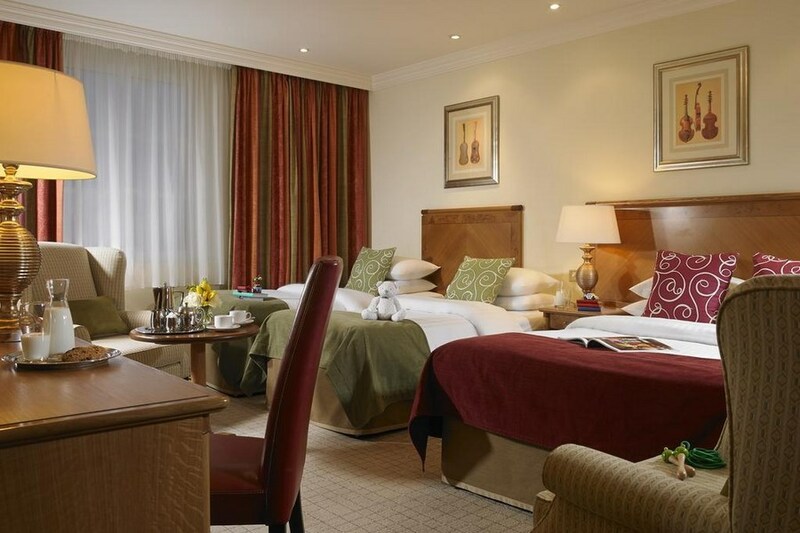 Went to Mount Wolseley for one night stay with my sister.Beautiful hotel, very clean all around.All staff very friendly.Had lovely breakfast.Only downside was toasted sandwich we had in lounge ,could have been better.Overall would go back again. We have just returned from a one night stay in Mount Wolseley having already stayed there on a number of previous occasions. However, this time we were allocated a room at the rear of the hotel on the 3rd floor which resembled an attic room with sloping walls and ceiling. The room was cold and in view of the number of dead flies on the windowsill we felt it hadn't been used recently. All the staff in the hotel and golf club were very pleasant and helpful, especially the bar staff. The hotel is in a beautiful setting overlooking the golf course. The reception area is very spacious with a beautiful staircase. The Aaron Lounge is very comfortable and relaxing with nice background music and numerous TV's. This is a lovely location if you want to get away from it all and chill out. Nice hotel however with our room we found old crust of bread beside our bed which means the room was obviously not cleaned out properly. When Mentioned to the manager all we got was ok sorry. also on Check in they were really busy and really not helpful when asking questions about hotel. told me I was to come back at 3 with no apology or anything. Really disappointing Customer Service for a 4 star hotel. Just returned home after a wonderful break away in mount wolseley with our 8 month old and 4 year old. From the moment we arrived, the staff could not do enough for us. The room was huge and had a lovely view over the golf course. The breakfast was beautiful and really well organised. My daughter really enjoyed the kids club. The pool is lovely and really clean. We would definitely return. The Mount Wolseley Hotel and Spa was a beautiful Hotel, the Staff were extremely helpful and welcoming, I could not fault this hotel, and will be making a return visit soon, this Hotel is perfect for a relaxing break, it is quite far from any sort of life so don't plan your stags there but as stated a relaxing weekend on the cards this is your only man. Had a great two night break at the Mount Wolseley Hotel in July. The room was nice and clean, water by the bed , tea and coffee and plenty of supplies in the bathroom. The air conditioning was a great bonus as the weather was really hot and was easily operated .Staff were all very efficient and pleasant. Very impressed by the decor of the hotel with a beautiful staircase in the reception area . Breakfast very good with a nice variety of cereals , gluten free included , lots of breads and pastries and of course the traditional full Irish !! Just a ten minute walk into Tullow and lots to see and do , including a visit to the Chocolate Garden of Ireland and Altomont Gardens , lovely for a day out for all the family . This location is well worth a visit and i will definitely be back to stay at the Mount Wolseley ,great value for money , couldn't have asked for more , ten out of ten, well done !! We had a brilliant time in Mount Wolseley, hotel fab and spotless, food second to none, thank you to all the staff there ,we would recommend this hotel to everyone, we will certainly be back, Thank you to all concerned, ye are all doing a fabulous job. Bernadette and Tommy 10 out of 10. 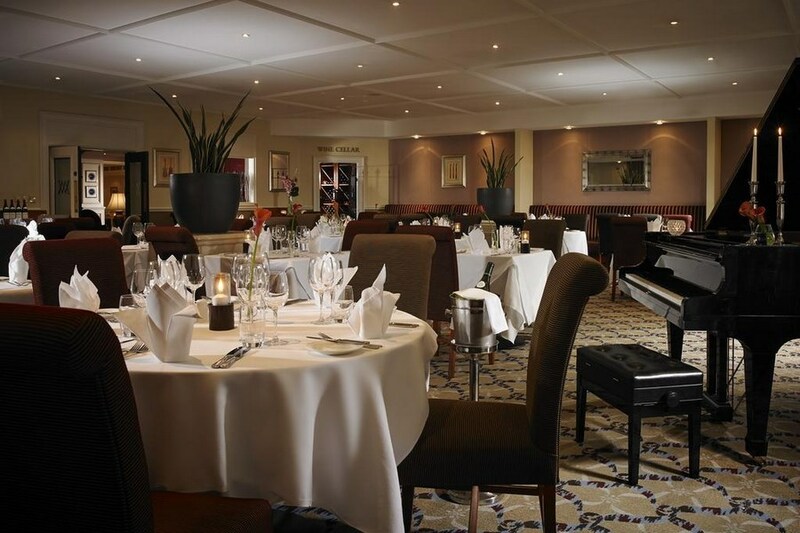 We stayed at Mount Wolseley on Sunday 16th March 2014. The hotel and our room were lovely and spotless . The facilities are OK , the pool was cold, the steam room was good, but the sauna was not hot enough. We stayed on an extremely busy night, there was a function in the hotel and the place was packed with local drinkers which did not impress us. If we had know it was going to be so busy we wouldn't have booked as we were looking for a nice relaxing break, instead we arrived into a packed hotel. We ate in the back bar as we could not get a seat in the main bar. The area was messy due to the volume of customers and the staff were excellent but completely run off their feet. The food was delicious. After dinner we could not get served at the bar nor could we get a seat close to the bar so we just gave up and went back to the room very frustrated. There was no sign of a manager in the place all night. Overall we didn't enjoy it and we would not return there again at such a busy time. Excellent hotel - clean, warm and welcoming. Breakfast excellent. Gym and swimming pool are excellent. Menu in Aaron Bar is restricted and not too cheap!!!! Excellent rooms and facilities, however the staff at dinner and breakfast were absolutely terrible. The worst service I've had to endure in a long, long time. Beautiful hotel with fantastic amenities, room was brilliant- comfortable, well maintained, clean & had good facilities. Staff were very friendly and helpful. Had to give only four stars for a couple of reasons; the TV was old but more importantly, some channels didn't work and all were quite fuzzy. Also the hot breakfast was awful, couldn't eat it at all- food was fried in (what seemed to me) old oil. I will still go back to Mount Wolesley and recommend it to my friends. Enjoyed our stay very much. Staff really friendly & helpful. Rooms spotless & comfortable. Food also very good. Absolutely no complaints. Would recommend this hotel on all levels. Brid. We stayed here for two nights and it was a very relaxing get away! The hotel is beautiful and the grounds of the hotel are even more beautiful! The rooms are very comfortable and the bathroom facilities are great! The lobby/bar area are decorated beautifully and the leisure facilities are great (especially the jacuzzi). Our only complaint would be the bar food (found a bone in my Thai curry). By far worst customer service ive ever encountered in a irish hotel, staff really unprofessional and unorganised. Still awaiting response from hotel on issues of weekend. We stayed with our 10 week old baby & a 2 year old. Hotel was ideal for us. We had a spacious room which was very clean & comfortable. There was a large area upstairs with sofas which was a really comfortable and quiet place for me to feed the baby. The pool was great for our 2 year old as they have a small kiddies pool & we enjoyed bar food in the bar although perhaps a little pricey for bar food. Breakfast was lovely with a wide ranging menu. Overall, would highly recommend a stay here. Only slight negative is that if you like to go for long walks on the grounds you can't really as its mostly golf course..
Had a great stay in Mount Wolseley . Staff very friendly and helpful. Room beautifully clean and spacious. Pool, Sauna & Steam room lovely and clean, nice and quite in both areas which was good for a Friday and Saturday. Food was excellent, breakfast each morning had a good variety and good quality. we had a lovely meal in Frederick's Restaurant. The menu in bar is good but could do with a couple of fresh fish dishes added in. My wife had a SPA treatment and found it to be excellent. Will definitely be back soon. Lovely hotel very friendly staff and food in Aaron's lounge was lovely and good value. Only complaint I have is our room seem to be over a boiler or something that made a loud humming noise that would go off throughout the night and did wake myself and my husband a couple of times. Stayed in Mount Wolseley Hotel on Saturday night & had a lovely break. The hotel and grounds are very well kept! The standard room is quite spacious and the breakfast was delicious! Great value! Staff were very friendly! Definitely recommend it!! Very pleased with my stay at this hotel, my girlfriend loved the spa treatment, would certainly recommend!!! 2nd time at this hotel and sadly this time we suffered a very cold room on the first day and after making reception aware of the problem we were offered a small electric floor heater as a substitute. Our response was that it was november and comfortable hotel room in 5 star hotel is what we had hoped and paid for, we eventually were offered a change of room [with heat]. We moved to other room and little time to get ready for dinner. Next problem began with a very long wait on food and particularly between the starter and main course, thank goodness we had another couple at our table to make conversation with [ although it was thier 1st time and we recommended the hotel ]. We were not offered bread as others in the dining room were, we never received our iced water and yet other tables were receiving topups of water every 10 minutes. However the food was indeed very good even though quite a lot of what was on the menue was not available.. 2nd day dining room was indeed much quicker and we were served all that was asked for and again the food was great until we left the dining room and retired to the lounge for a nightcap and then the sevice went downhill. I had to approach a waitress after siiting for some time and when she came she did not know what whiskys were available but we ordered 2 calypso coffees and 1 decaf and she was to return with the whisky on offer, instead she returned with 2 decafs and 2 calypso [no whisky so we just accepted as we had waited long enough. Sorry we have this poor report on what should have been a non complicated stay in this lovely hotel. Not sure if we will return again. By Lorraine on 03.Nov.2012 Stayed in Mount Wolseley Hotel for a midweek break for Halloween. Lovely hotel. Room very spacious and clean. Customer service excellent. Did not use spa. Very clean pool area. Did not eat in restaurant. Very good selection of foods for breakfast, and very well presented. I found the bar menu to be a bit limited. Would definitely recommend this hotel to friends, and families.